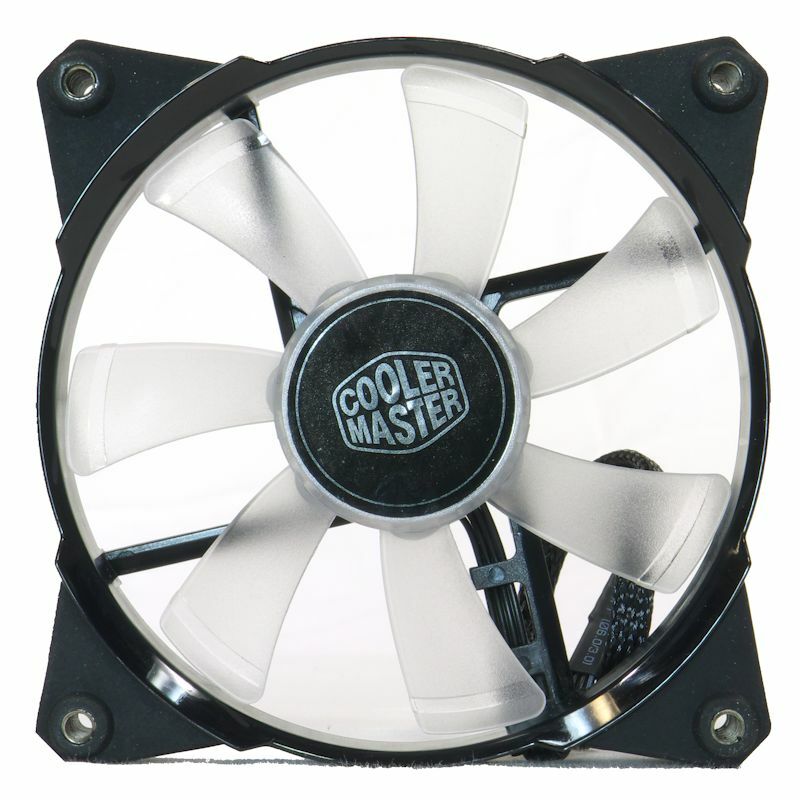 Cooler Master has brought to market their “Fourth Generation Bearing,” a bearing based on POM (polyoxymethylene). So far, they have built three fans with POM bearings. 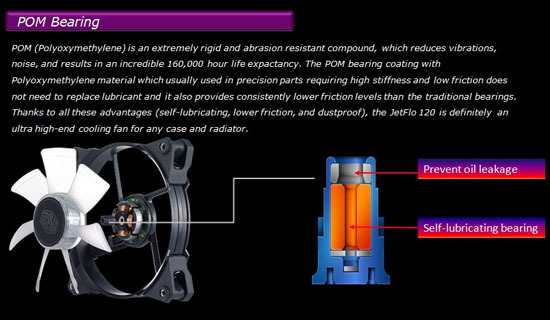 The second fan to use a POM bearing is the Jetflo, the very fan we will be reviewing here. 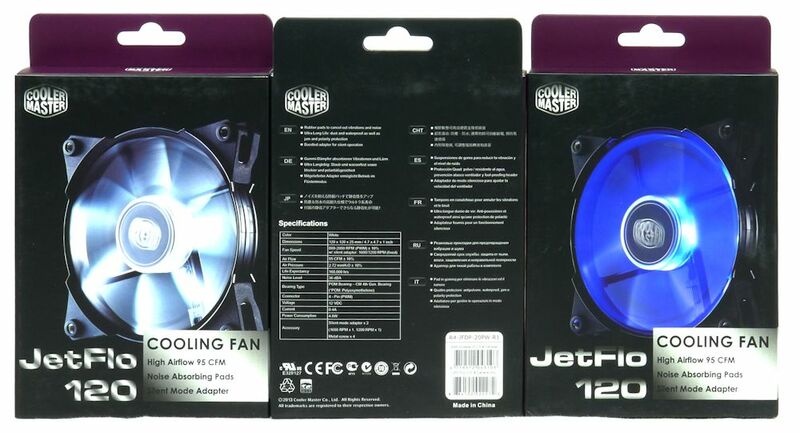 The Jetflo has a number of features that make it an interesting fan indeed. In fact, the POM bearing is just the first of its features. So let us review them all, and put the fan through its paces. 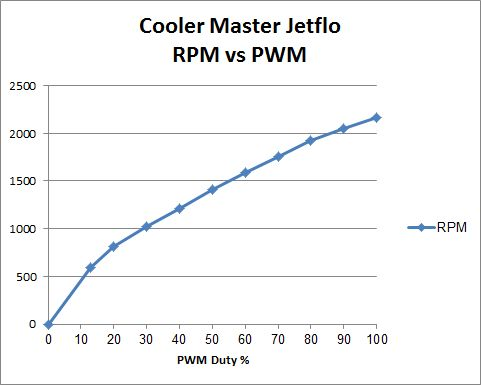 The Cooler Master Jetflo is a PWM fan that ranges from 800 to 2000 RPM, with a stated output of 95 CFM. It comes in four flavors: red, white and blue LEDs and no LEDs. 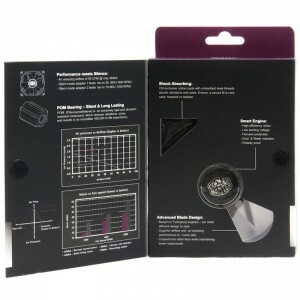 The Jetflo also comes with two adapters that allow fixed speeds at 1200 and 1600 RPM. The POM bearing is rated to 160,000 hours, or more than 18 years. 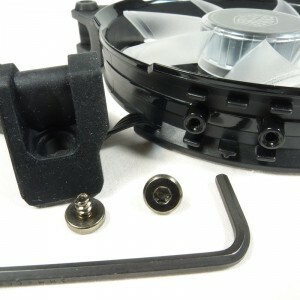 Cooler Master tells us that the fan’s blades focus its airflow instead of spreading it out as normal fans do. One of the features Cooler Master does not tell you about is the fact that the corners are rubber pieces that are bolted onto the fan’s frame. This feature is designed to cut down on fan vibrations, so they are not transmitted to what it is attached to. The Cooler Master Jetflo comes in a fully recyclable box, with a cardboard (and recyclable) insert holding the fan and its accessories. The box has a fold-out cover that explains various features and gives you a peek at the important elements of the Jetflo that’s inside the box. Pulling it all out, we have a PWM Jetflo and its accessories. Note that the fan was manufactured in June, 2013. Cooler Master has been stamping manufacture dates on their fans at least back to 2008 (I have a Sickle Flow made on 2008-07-01, for example). The accessories: two black, sleeved, well-labeled “Silent Mode Adapters” and four machine screws. What? Not the short sheet metal screws that come with most fans? These look like they should fit into nuts. But look inside the ears of the fan and you will see machine threads waiting for these screws. Note that the threads are covered with rubber, so when you fasten it to a case, there will be no metal-to-metal contact. 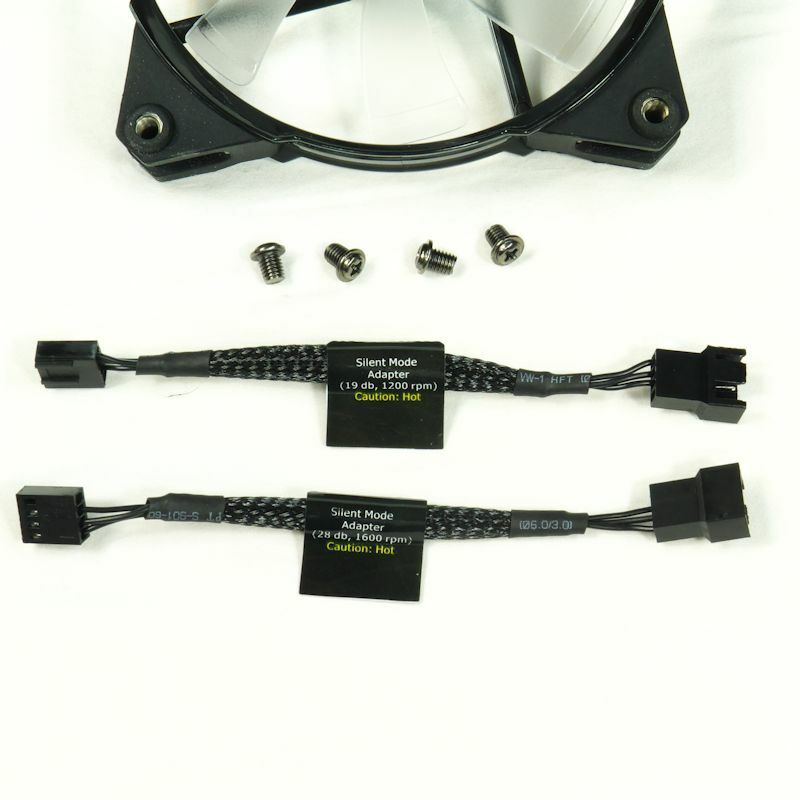 The adapters, by the way, carry no PWM line. 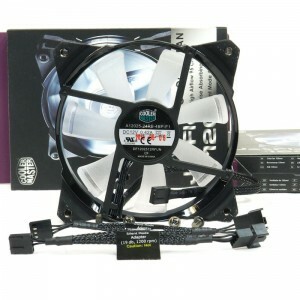 So when you connect the fans in a Silent Mode they will no longer be PWM fans. Note each label carries the RPM and sound pressure level specs for that adapter. Cooler Master Jetflo fans have rubber corners. On the output side, these are beveled up from the frame so that they hold the frame clear of any flat surface it is screwed onto. On the input side, the threaded inserts are pushed out enough to also keep the fan clear. This serves the purpose of isolating the vibration of the fan from whatever surface it is screwed to. A closeup of one of the corners, removed from the frame. You can see the asymmetrical shape. Another aspect is that the screw hole passes clear through the ear, and allows a long 8-24 machine screw to pass right through (this is how I fasten them to the test box). I also tested m4 screws. They passed right through the corners. That makes this fan suitable for radiators. You can also put this vibration isolator through the hole. 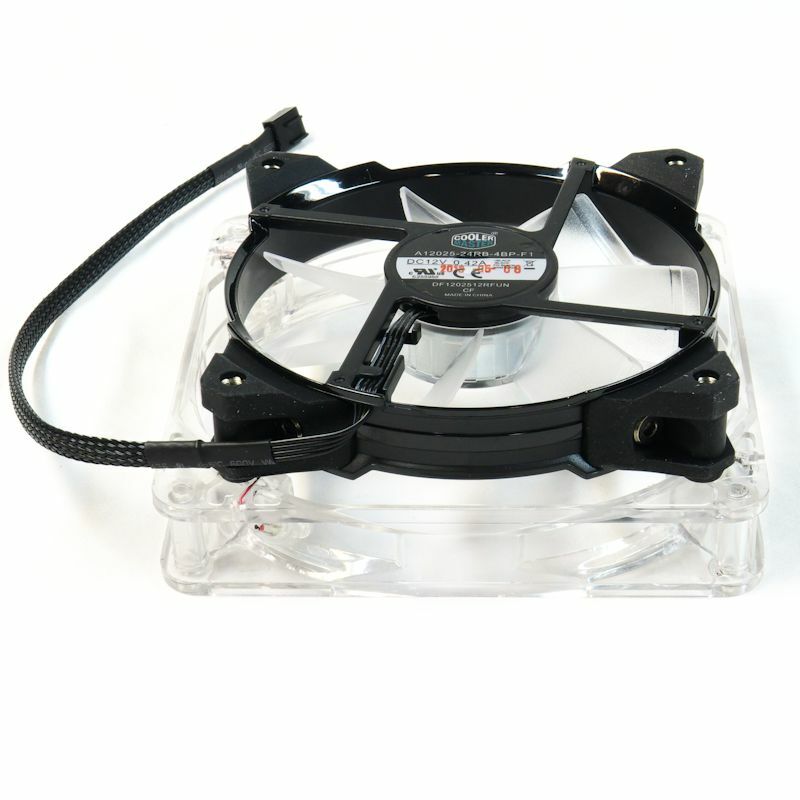 It is the best vibration isolator I have used, and it comes stock with several fans. The embedded threads hold it firmly enough that it takes a brisk tug to pull it free. 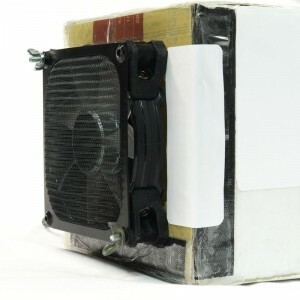 These fans were tested in open air with a sound pressure meter (Tenma 72-942) 10 cm from the intake face of the fan. The SPL is then adjusted to 1 meter by subtracting 20 dB. The open-air RPM was also recorded and abbreviated below as FRPM (Free-air RPM). The airflow was measured with an Extech AN100 anemometer in a custom box that has a 115 mm exit. The RPM was recorded before and after the 72 mm vane wheel was introduced into the airflow exiting the box (RPM0 and RPM). The AN100 has the capability of averaging measurements. Each CFM result is the mean of ten measurements. For an additional treat, the airflow measures were repeated with a screen filter covering the fan to give you an idea of what each fan can do while drawing through a filter. Note the picture below shows how the fan frame is kept clear of contacting the surface it is attached to. You can also see the 8-24 screws pushing through the corners and holding the fan with wing nuts. Cooler Master Provided six Jetflo fans for testing. They were assessed at 12 Volts, with the 1600 RPM Silent Mode Adapter, the 1200 RPM Silent Mode Adapter, 7 Volts and 5 Volts. That sounds like essentially thirty fans and settings. But there were five CFM, SPL or RPM measurements per fan / setting, not to mention the Sickle Flow and Sickle Flow X measurements, which took the number of data points up around 150. Whew! Seven Volts were produced by connecting the 12v and the 5v lines. However, this prevented the fans from reporting their RPM’s, so you will see those speeds marked as ‘-na-’. You see the results in the tables below. Boiled down, in performance Cooler Master under-promised and over-delivered, always a nice thing to find. Heck, behind a filter the Jetflos produced as much CFM as Cooler Master promised in free air. We see an interesting Jetflo behavior when the fan is moved from free air to the test box, and the anemometer is placed over the outflow: the Jetflos speed up. They go even faster when they are pulling against the filter, but they slow down a trifle when the anemometer head is stuck into the outflow. What you do not see in these charts is variability. 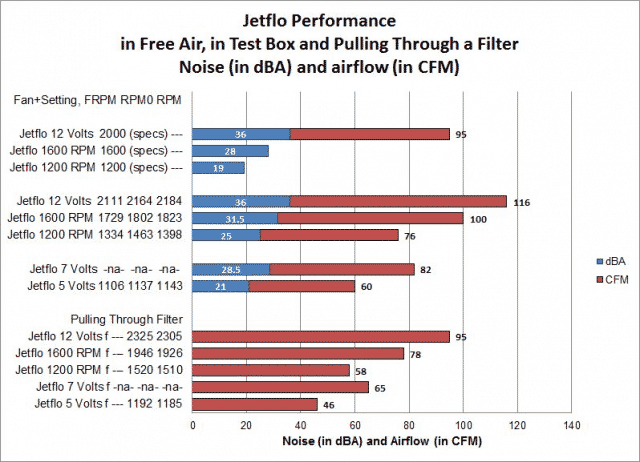 Without a filter, the Jetflo’s low output was represented by a single fan at 111 CFM. The High output was a single fan at 121 CFM. The other four fans ranged from 115.8 to 116.8 CFM – essentially identical. With a filter the fans ranged from 93.43 CFM (two fans) to 97.77 CFM (two fans ran above 97 CFM). This represented tight clustering of output. The next Jetflo aspect I investigated is the PWM curve. Now here I tested a single fan – the blue LED fan. I set my motherboard to send a PWM signal to the fan, expressed as PWM Duty, or the percent of time it is signaling. The Jetflo does not run at 0% PWM duty. It stirs to life around 10% and the speed can be read by the motherboard at 13% PWM duty. The Speed vs PWM curve is fairly flat, once the fan speed can be measured at 590 RPM. One other important note: the fans did not click in PWM mode. The last item I tested was the rubber corners. I tested them by putting the side of the frame directly on the metal surface of my table saw. Like most fans, it resonated and the buzzed fairly loudly. I then put a corner down. I hardly heard anything. While this was a qualitative test, it did show that the rubber corners did their job. They really did their job. 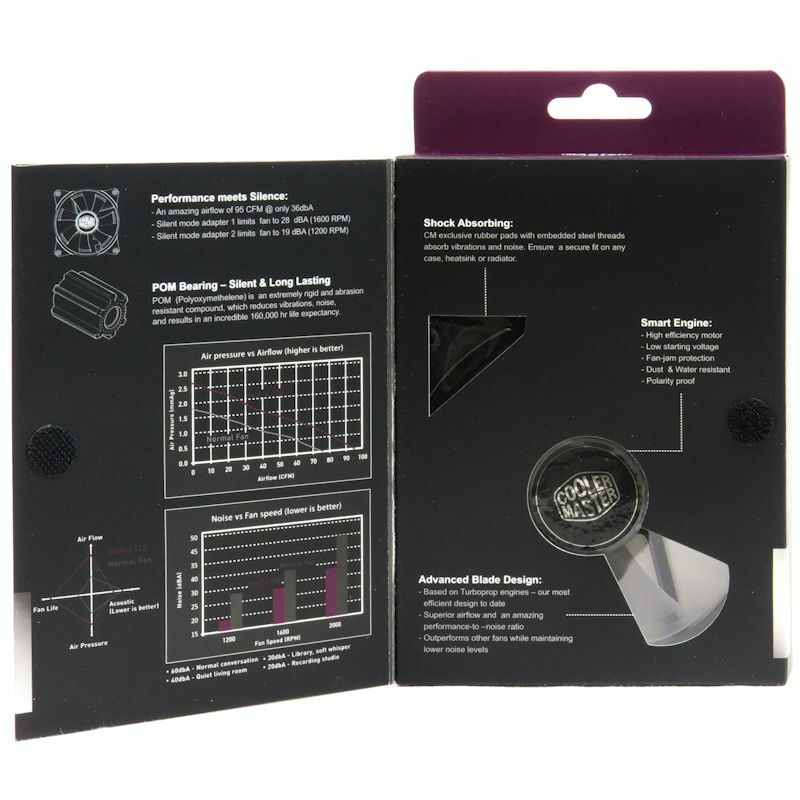 Cooler Master calls their POM bearing a “Fourth Generation” bearing. After the Sickle Flow X, the Jetflo has what I am tempted to call the second generation of their POM bearing. Can something be the second generation of a fourth generation? The rubber corners work well to isolate a Jetflo’s vibrations from whatever it is attached to. Even better: under PWM control these fans did not click. Although I lack the equipment to measure static pressure, I believe their specs on these, given how hard they pull through the dust filter. As for the blade shape focusing the air output, we will have to take their word for it. As I noted above, Cooler Master under-promised and over-delivered on these Jetflos. They are good, strong fans. Nice review, thanks. The low rev noise is a bit disappointing. My pc is close to my ear. The front fans on my case have been tagged for an upgrade. These look very nice and I love having the choice of led or no. Thanks for the review Ed. I should check this out for a project I'm working on. Quiet is good. Seen any price recommendations? One side note: I think you've mixed your screw size/threads. There's 8-32 and there's 10-24, and then there's 10-32 (fine thread). The 4mm would more closely approximate the #8 screw. Fine thread for a #8 would be 8-36. I'd take them for a spin. Hey there, chiming in, i was at frys 12/14/13 and saw these, for the price $16.99/ea, i picked up two (120mm) to put on my CM storm side panel. i didnt know they were so new. 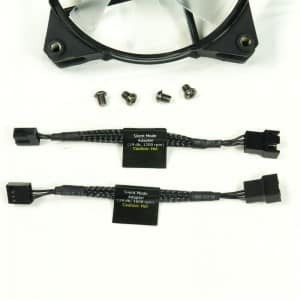 Well, imo the power cords are a little short, unless you use the supplied resistor attachments, i left them off, one of them is plugged into a PWM connector, other is straight 3pin fan. im not sure if only one of them spins up or both, but when it does get a load, they can get loud going 2500rpm. fyi. i do keep my cooling settings on active/aggressive, so idle/no load they are still audible. Hope this gives some help. Another informative review. Thanks Ed. I find it odd that the "silent" adapters don't pass through the PWM signals. The RPM vs. duty cycle plot looks like a so called "constant torque" motor. It looks like an analog controller, as a digital controller would be smart enough to not allow the motor to stall. I have wondered about lowering voltage to a PWM fan but have never tried it. 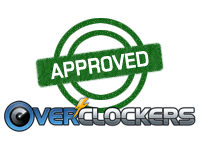 I have wondered about lowering voltage to a PWM controlled fan but have never tried it. PWM signal from motherboard and 9-10v instead of 12v power. Every PWM fan I'm aware of will do just fine if you control it with voltage, as long as you don't blow the pot that you're using to control it. PWM is kinda an add on, it's not an entirely different system. Indeed. PWM fans can be controlled with voltage too. But can they be PWM controlled with less than 12 volts being supplied to fan?.. What happens if the PWM PCB in the fan received a PWM signal when fan is on a 9v power lead instead of 12v? Should work fine as long as the logic still has enough voltage to work. The DSP drive fans even sense the actual supply voltage and account for that in the control algorithm. BTW, the inner workings of so called "PWM" (variable speed) fans is very different to that of conventional ("fixed speed") fans. While fixed speed fans always use a resolver to sense position and are usually square wave drive, variable speed fans may or may not use resolvers and are almost always sine wave drive. (A notable exception are some higher end "fixed speed" fans that are really variable speed permanently wired for full speed.) Deltas and newer Nidecs use DSP to sense the back EMF, while Sanyo and YS Tech use resolvers. My best guess is that the Cooler Master is current mode controlled with the PWM input being used to change the excitation voltage of the resolver. (The output amplitude from a resolver is proportional to the excitation voltage, meaning that it works as a crude multiplier.) Not sure what the loop does when there's not enough supply voltage to keep it linear, but they could either let it clip or detect that and turn down the loop gain to compensate. Easy way to check is to reduce the supply voltage, note the RPM and noise (as in if it's buzzy or a smooth hum), then change the supply to 12V and use the PWM input to get about the same RPM before checking noise again. A new review with additional info here.